How do you know that your shoes breathe? 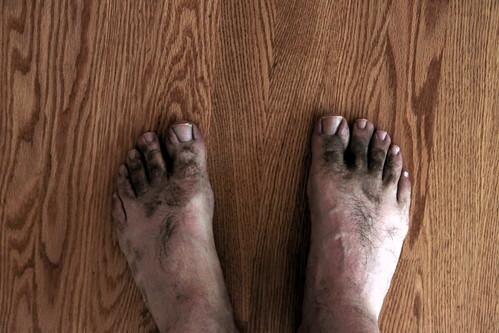 This is what my feet looked like after a day hike up Mount Diablo. All that dirt came through the mesh in my shoes and through my thick wool hiking socks. My feet may be dirty, but they were dry, cool, and happy. ← Does your dog ever get to play?